Watch otters, seals and golden eagles with Lucy Wallace, an experienced wildlife guide who will take you to some of her favourite wildlife watching locations on Arran. The island boasts some of the most beautiful and enigmatic species in Britain and wildlife watching here is incredibly rewarding. Book a half day Otter Discovery Trail or a full day excursion tailored to you. From £35 for a half day. The mountains of Arran are some of the most dramatic and serious to be found anywhere in Scotland. Lucy and Wally Wallace are experienced and qualified Mountain Leaders who can help you explore Arran's peaks with confidence. Book a full day hike with an itinerary tailored to your experience and aspirations from £70 per person. 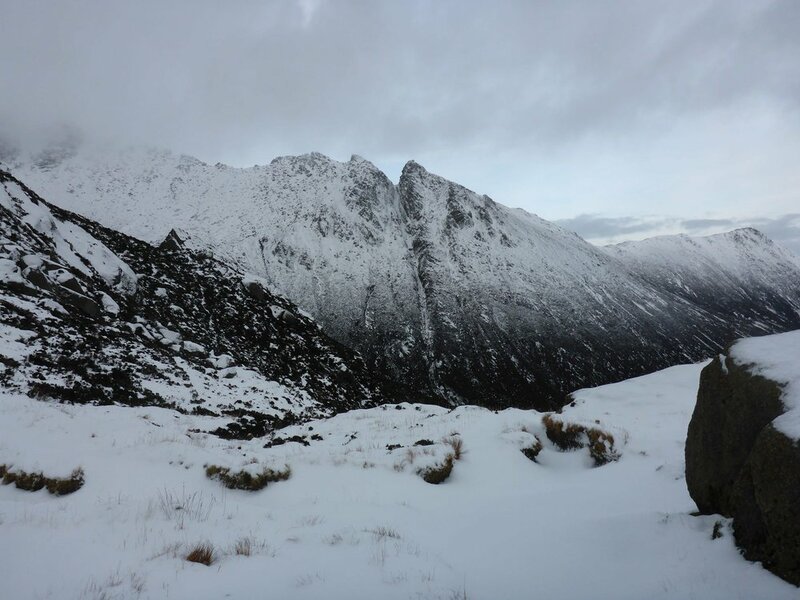 Winter walking on Arran is a wonderful adventure with some of the most breathtaking scenery in Scotland. Winter presents unique challenges to the hillwalker, and as winter Mountain Leaders, we can help you to discover and enjoy the winter mountains for yourself. Book a full day winter adventure with an itinerary tailored to your experience and aspirations from £70 per person.